From Phillipe Cousteau to David Doubliet, just about every diver who has experienced its reefs has stated that Little Cayman is one of the world’s premier dive destinations – with pristine reefs, excellent visibility and incredible diving. The 80° F water is second to none when it comes to clarity and it is said that more underwater photographs are taken in the Cayman Islands than in all other Caribbean destinations. The Caymans’ trademark turtles are a common sight and eagle rays, angelfish, reef sharks and grouper count among the 500 species of fish that have been documented here. Staffed by an international team of trained Chefs, Bird of Paradise appeals to the most discerning taste buds and serves a wide variety of gourmet international and Caribbean-inspired cuisine. Choose to dine in our air-conditioned dining room, screened lanai, or al fresco on the patio with our resident iguanas! 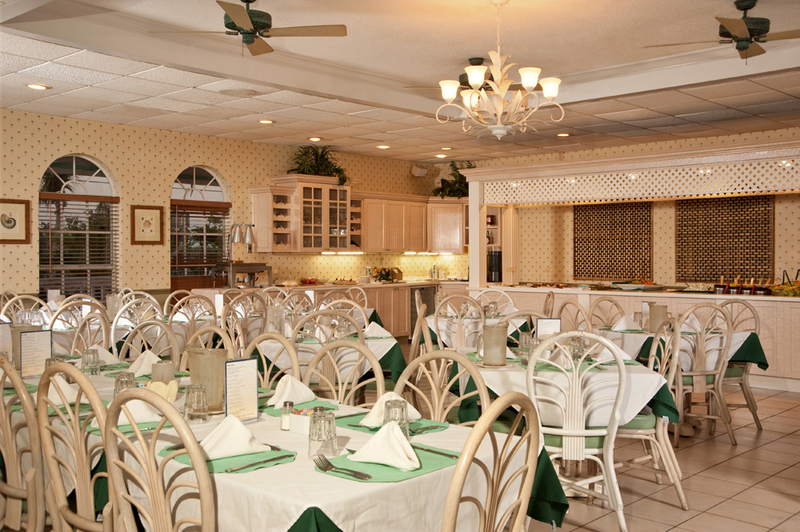 Our Chef will be happy to accommodate those with special dietary or vegetarian needs. Dining hours are tailored to dive schedules, including extended hours to accommodate night dives. 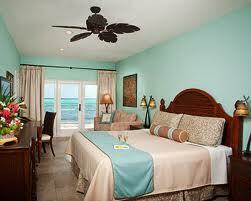 Beach Nuts is centrally located at the resort and adjacent to the pool and overlooking the Caribbean Sea beyond. This is the hub of island activity and you will find something for everyone. Our menu includes a vast selection of local and imported beer, fine wine, tropical cocktails, premium spirits, and Cuban cigars. Weekly events include a Manager’s Rum Punch Reception, karaoke, trivia, and other theme nights. Beach Nuts Bar also features a pub-inspired menu of lighter fare. For the artistically-inclined, collect a piece of driftwood from the beach, and use our selection of paints to add to our ever-growing collection of Bar Art. Each year, guests attempt to one-up one another with increasingly complex pieces of art, and our bar and resort grounds proudly feature them. The Cayman Islands have strict Marine Conservation Laws and many of our 57 dive sites are within protected Marine Park Zones, including the legendary Bloody Bay Wall – Little Cayman’s most famous dive attraction. Coral canyons and sand chutes lead you through the pristine deep blue waters of the outer reef before plunging to 6000ft (1800m). These exhilarating walls are covered with brightly hued sponges, corals and sea fans. Bloody Bay Wall, one of the most pristine underwater sites in the world, is part of a unique ocean reef system surrounding Little Cayman. Rated as the best diving in the Caribbean by National Geographic photographer David Doubilet and underwater cinematographer Stan Waterman, Bloody Bay Wall’s natural beauty has been protected for future generations with its designation as a Marine Park. With over 50 dive sites, there is a wealth of marine life, shallow reefs and utterly astounding walls. Come and discover why our reef has been called the holy grail of the scuba world. Reef Divers provides aluminum 80 cu. ft. and 63 cu. ft. SCUBA tanks, and a complete inventory of rental equipment. We offer a wide selection of SCUBA accessories and Reef Divers logo sportswear. The dive shop provides fresh water rinsing tanks, a dive gear storage area and restrooms. Reef Divers uses three new Mako 30 cfm, electric-powered, water cooled dive compressors, complete with a state-of-the-art filtration system and plenty of storage capacity, as well as a Nitrox Technologies Membrane system for Nitrox dives. Reef Diver’s guests enjoy the advantage of four custom designed dive boats – Island Sister, Cayman Sister, Reef Fantasea and Holiday Diver II. Custom designed for diving, these boats were built by Newton Boats, Inc., in Slidell, Louisiana. Fabricated to American Bureau of Shipping specifications, they are powered by Caterpillar, John Deere and Yanmar engines. These Newton dive boats are a diver’s dream – 42/46 feet long and 16 feet wide with a cruising speed of 20mph. Little Cayman offers a range of activities to give you the full experience our beautiful island offers. If you are looking to explore the island, hit the trails to experience the unique wildlife that calls Little Cayman home, or take a ride to see the whole of the island. On the water we offer paddle boarding or kayaking in the pristine waters around the island – a great way to explore the island and its surrounds. If you are looking for a game of tennis, we have fabulous new hard courts available for a game at your leisure. Dive Insurance and Trip Cancellation Insurance. Payment Plan: Pay a $500 deposit at the time of registration and pay the remaining balance 90 days before the trip date.